You have no idea how excited I am for today’s post, I can’t actually stop smiling! 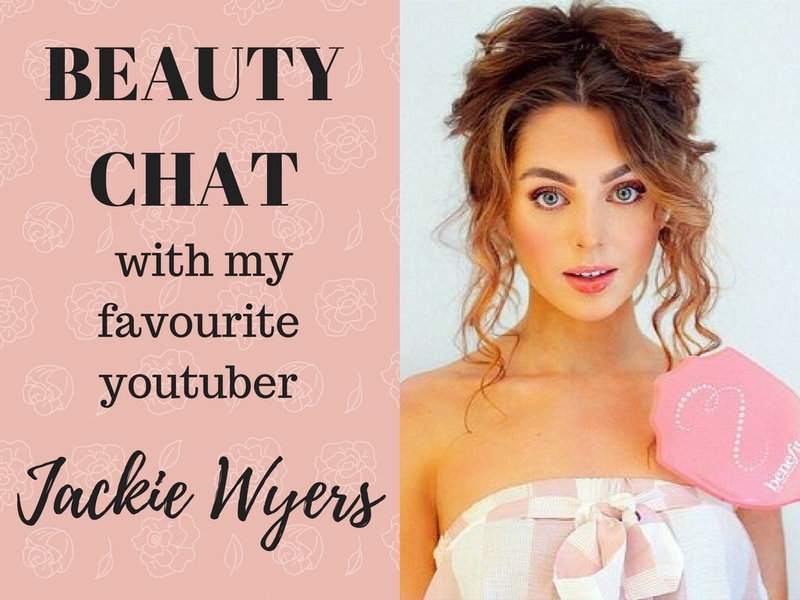 If you have been following me for awhile you would have known that my ALL TIME favourite youtuber is JACKIE WYERS! Well, today I got to INTERVIEW her for my blog!!! I’m SCREAMING! 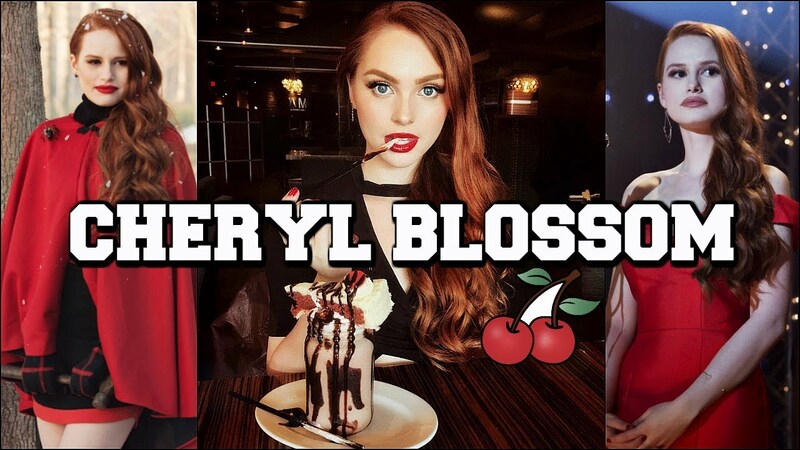 I had the crazy idea of interviewing my favourite youtubers (she’s my top favourite but I love many others so if you like this series I can try to keep it) but I didn’t even tought it was something that was ACTUALLY possible. So I asked her on instagram if she wanted to be part of this thinking she wouldn’t even answer to the text, well, she did and I’m so happy to introduce her to those of you who didn’t know her and maybe give the chance to know her better to those who already love her! So a special thank you to Jackie for being a sweetheart and being part of this, needless to say, I’m going to leave all her links at the end of this interview you should all go and follow her, if you don’t already! Who was the first YouTuber you have ever watched? The first YouTuber I ever watched was Michelle Phan. I had just moved to Belgium from Canada in summer of 2007 and spent my time learning how to apply makeup before entering middle school! If you were a beauty product what would you be? 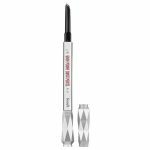 I think I would be a lipgloss – I love a good sparkle and shine on the lips! I think a solid beauty pet peeve that has happened to everyone at least once is not blending foundation enough onto the neck… The dreaded FOUNDATION LINE! Sometimes it just happens when getting ready fast – we’ve all been there – but making sure there isn’t a foundation line is a top beauty tip. What’s your favourite make up trend? 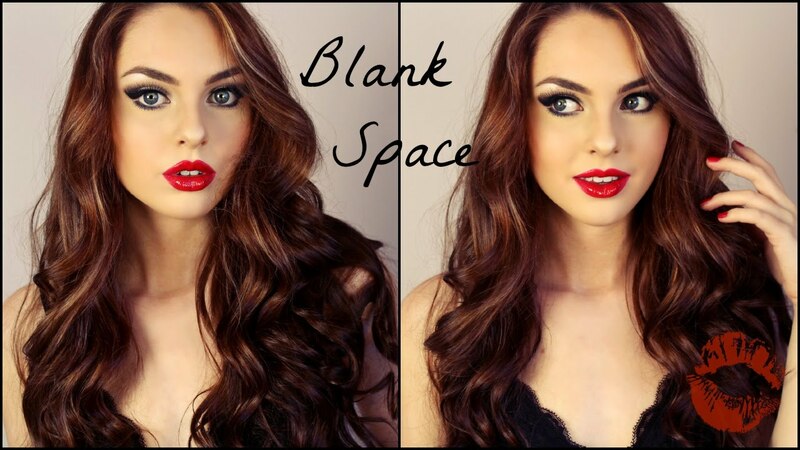 I love to create retro/ vintage inspired looks and a modern take on a red lip is a subtle two toned lip! 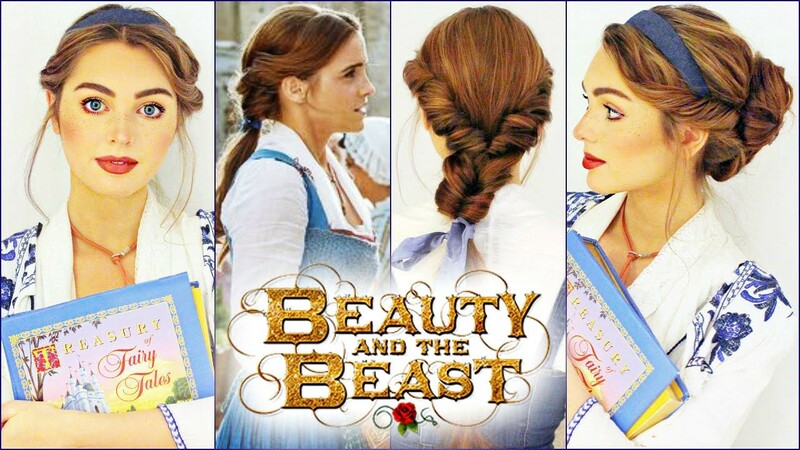 If you want to try something new and a little bold, this trend is lots of fun. Who is the celebrity you are always the most excited to see on red carpets? I love to see Selena Gomez on the red carpet, she always looks elegant and put together. Plus, her instagram selfies posted by makeup artist Hung Vanngo are all saved on my phone for daily inspiration! It is hard for me to choose just one brand… so here is a couple! 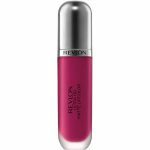 From the drugstore I love Revlon, especially their lipsticks and the PhotoReady Collection. I also use several Benefit products daily and think Benefit is a unique and girly brand with great quality products. Some of my favourites are the Goof Proof Brow Pencil and their boxed blushes. 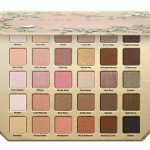 Finally, Too Faced eyeshadow palettes are always super fun and creative and have beautiful pigmentation. What’s your favourite tutorial you have ever done? 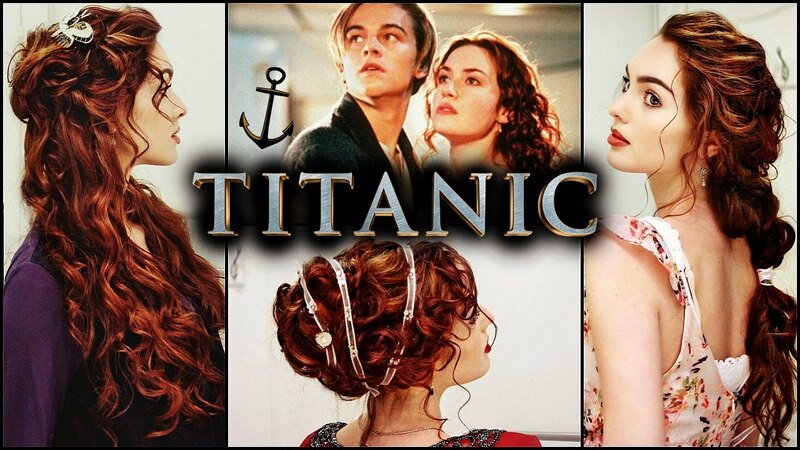 I am really proud of my Rose from the Titanic hairstyles tutorial and tried really hard to get the styles as accurate as I could, while still having the styles easy to achieve at home! As for my favourite makeup look I’ve recreated, I love wearing the Cindy Crawford ICONIC Makeup in her SUPERBOWL Pepsi Ad. It’s my go-to glam look for sure and I used the Too Faced Sweet Peach Palette which is still one of my favs! What’s the first memory you have related to make up? This one is funny… I used to religiously put on lip products every night before bed awaiting my first kiss. 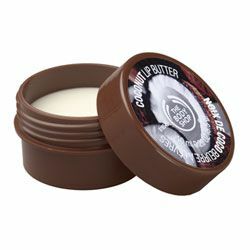 The Body Shop Coconut Lip Butter was my must have back in middle school and I still have one in my purse! I think my first noticeable makeup I wore though was concealer when getting my first pimple…but that is less fun of a memory. What’s the first make up product you ever bought? This is hard because I started off borrowing my moms makeup… but I’m going to say it was a copper eyeshadow palette from Almay! What would you tell to someone who wants to start a blogging/vlogging career? What’s your best advice? My best advice would be to create content based on your interests and be consistent with posting. There are so many creators online so posting regularly will help with exposure. I think it is always a good idea to take the time to get to know and interact with your audience as you post to see what type of content resonates with them as well. For example, I have found some of my best performing videos are based on characters in new Netflix releases so I pay attention to those shows and find my inspiration there! Since I love TV & Films, keeping up with new releases never feels like work. Do you guys like Jackie? I really hope you guys enjoyed it, don’t forget to like, comment and share to let me know all your thoughts and if you have any question.